From the first word that the North American version of the i3 REx would have restrictions not found on its European counterpart, i3 enthusiasts and customers in the US and Canada have wondered how well it would work under strenuous driving conditions. In fact, it is by far the topic I now get the most correspondence over. I have probably received over 100 emails through this blog from followers that want to know how well the range extender works and how capable it is. People want to know things like what speed the car can maintain in charge sustaining mode and for how many miles can the car maintain highway speeds on a certain percentage upgrade, and so on. I even have had people ask me if I could conduct specific tests with my car to confirm it can do what they need it to. The reason being is the 34hp REx engine can only deliver about 25kWs (although some reports say BMW upped it to 28kWs) of power. That is plenty of power for nearly all normal driving needs, but not enough for continued high speed or long upgrade driving. The problem then arises if you continue to consume more energy than the REx can deliver. The root of the problem reverts back to BMW’s desire to have the i3 REx certified a BEVx vehicle by the California Air Resource Board. 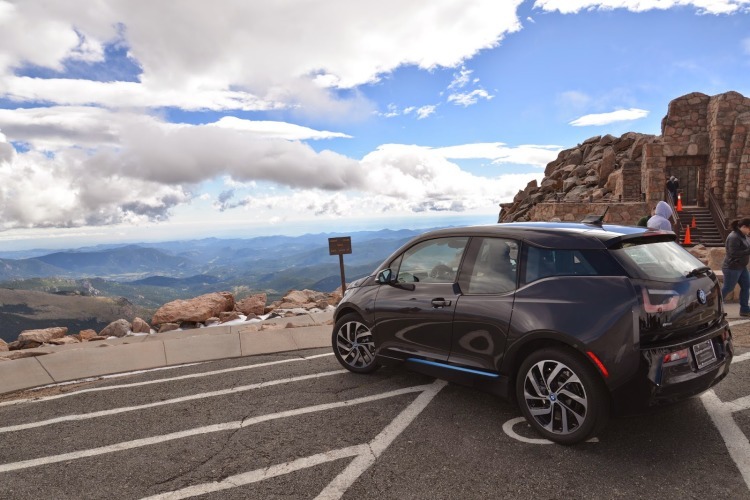 This allows BMW to get the most ZEV credits per vehicle, and also allows the i3 REx to qualify for other perks, like sales tax exemption in New Jersey and Washington State. It also allows the owner to get the full $2,500 California CVRP rebate, unlike all other PHEVs which only get $1,500. However this came with a cost. BMW had to restrict the REx use to comply with CARB’s BEVx classification. The European i3 REx can be manually turned on any time the state of charge is lower than 75%. This is called a Hold Mode and allows the driver to hold a higher state of charge and keep a higher battery buffer which they may need for continued strenuous driving conditions later in the journey. The North American version has no Hold Mode, and the range extender only comes on when the battery is reduced to a critically low 6.5%. For normal driving that is fine, but when really pressed for continued periods, the car cannot maintain full power. This creates a problem when the driver needs to drive for an extended period which demands an energy draw of more than 25kWs. The meager 6.5% battery reserve can quickly deplete in these conditions. When this happens, the car goes into a reduced power mode and can only maintain a speed of about 40mph. To make matter eve worse, the driver gets no warning and the car just slows down. This is not what you want happening to you when you are on a highway and cars are whizzing by you at 70mph. This is a real issue, and compounded by the problem that most BMW client advisers didn’t know how to communicate this to the customers and sold them the cars without informing them how to properly operate the vehicle in REx mode. I’ve had people contact me that were completely unaware of how the range extender worked and said they were told by their client adviser that “the car can do anything in range extender mode as it can in all electric mode, it just doesn’t have quite as much power.” That isn’t true, and many early i3 REx customers were disappointed when they found out they couldn’t drive up that mountain to their summer home, for example. In fact, one the Born Electric guest bloggers here mentioned an instance where he went into reduced power mode with a car full of friends. So now that we understand the problem, what is the solution. Should BMW simply give up the value of the BEVx designation and allow the driver to initiate Hold Mode as the European i3 REx owners can? That isn’t happening as far as I can tell. What I do believe is going to happen? Well for starters there will be software updates that include better indicators that the car may be headed to reduced power mode if you don’t take action to alleviate it. Perhaps by slowing down 5-10 mph you can completely avoid having a problem at all. I also expect there will be a better state of charge display so the driver has more accurate display of how much power they have left. 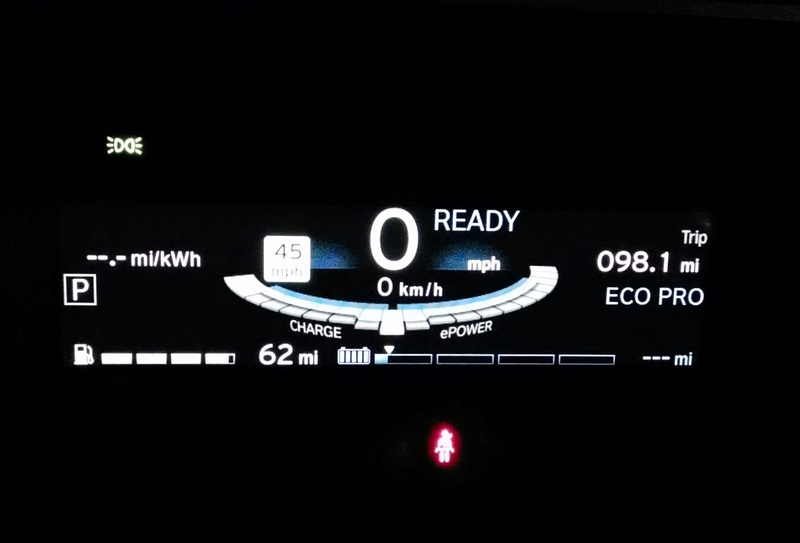 I would also love if BMW could add a display that would show the actual power draw you are using, so the driver can see if they are drawing more energy than the REx is producing. That would be an awesome tool for the driver to use in these situations and I do hope the BMW engineers consider adding it.. However I’m saving the best for last. It is my belief that BMW is working on an update that will indeed allow the range extender to turn on much earlier than the 6.5% threshold if the car determines you will need the extra power. This will work with the navigation system which accounts for topography. Once a destination is entered, the car will determine how early the REx will need to be turned on so it avoids reduced power while climbing an upgrade at the end of the journey. While this isn’t quite as good as having the ability to manually turn on the range extender, it’s pretty close. The bottom line is people just want to be able to get to their destination without worry of a reduced power “slowdown” while driving on the highway. If the modifications that BMW are working on do indeed work, I don’t think anyone will complain. In fact, I’ve privately asked this very question to quite a few current i3 REx owners and every one said as long as it works, and they can use the car to drive up long, sustained inclines at highway speeds, then they’ll be very happy. From what I understand the update could be available as early as the first quarter of 2015 and will indeed be available as a software update to existing i3 REx owners.Of course it would have been better if this was available right from the launch, but at least BMW is working quickly (the i3 has only been available for about five months in North America) to correct the problem.